the following blog was posted on the OREPA web site this morning. 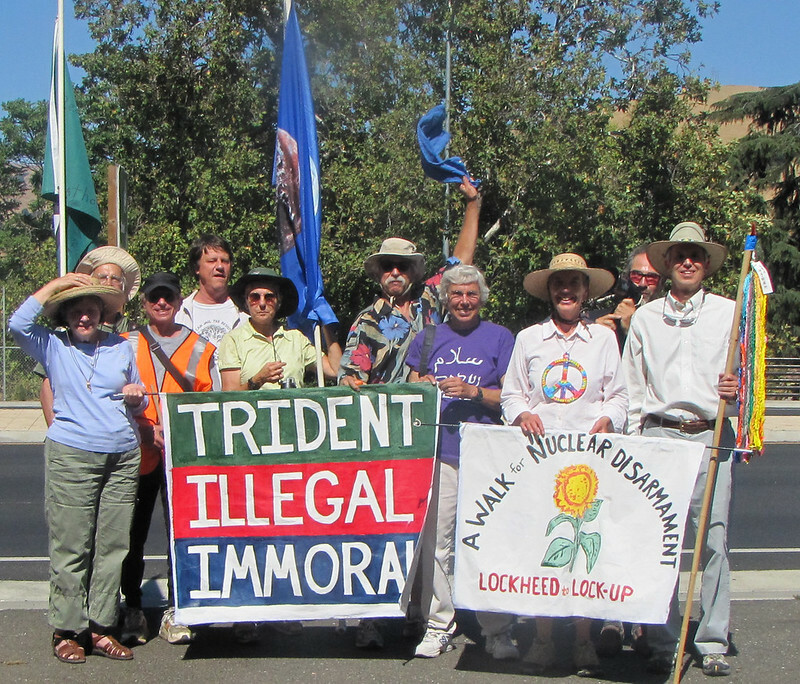 while the media is captivated by the security breach angle on the Transform Now Plowshares, we believe the incident is further evidence on NNSA incompetence and should be used to call into question the UPF itself. The recent breach of security at the Y12 Nuclear Weapons Complex in Oak Ridge, TN, when three civilians, including an 82 year-old woman, penetrated the inner sanctum, high security PIDAS zone and made physical contact with the nation’s storehouse for nuclear weapons grade highly enriched uranium, has drawn attention to the site. Operations have been halted in a security “stand down” while workers are re-trained on security fundamentals. So far, most of the publicity has been about the contractors responsible for security at the site: at both Wackenhut (WSI) and BWXT-Y12, heads have rolled—the heads at the top of the contractor command chain. Workflow and lines of accountability among contractors have been re-drawn. The Secretary of Energy has personally admonished the workforce across the weapons complex. To this point, the National Nuclear Security Administration, responsible for actually managing the Y12 Nuclear Weapons Complex, has managed to keep the public focus on the contractors, displaying in this area a deftness sadly lacking in most of its other activities. In fact, though, the buck should not stop with WSI or with BWXT, but with NNSA, the federal agency responsible for managing the operators at Y12. NNSA’s response so far has been to “temporarily reassign” one person and bring in study teams to investigate what went wrong and assess what is required to re-establish security at the site. NNSA has also, according to a news report, asked Brigadier General Sandra Finan, principal assistant deputy administrator for military application, to conduct an assessment “of the oversight model and security organizational structure at NNSA headquarters.” NNSA has realized it may be time to check the barn doors, apparently. The July 28 security fiasco at Y12 should compel questions about NNSA’s management, and those who ask the questions should reference the GAO testimony in Congress last February which questioned NNSA’s management capacity. The reality GAO documents is simple: NNSA, just over a decade old, has never gotten its act together. Cited by the GAO as a prime example of the lack of NNSA management capability is the Uranium Processing Facility, sister to the Highly Enriched Uranium Materials Facility which was compromised in the July 28 incident. The UPF is slated to be built adjacent to the HEUMF, connected by above and below ground passageways. The GAO testimony in February 2012 starts with NNSA’s failure to manage costs of major construction projects, looks at the management systems of NNSA and declares them inadequate. “NNSA does not have reliable enterprise-wide management information on program budgets and costs, which potentially increases risk to NNSA’s programs.…NNSA lacks complete data on, among other things, the condition and value of its existing infrastructure, cost estimates and completion dates for planned capital improvement projects, and critical human capital skills in its contractor workforce that are needed for its programs. As a result, NNSA does not have a sound basis for making decisions on how to most effectively manage its portfolio of projects and other programs.” NNSA management incompetence is not limited to budget forecasting; it is systemic. In the late 1990’s and early 2000’s, when the Highly Enriched Uranium Materials Facility was being designed, voices from the outside—the Oak Ridge Environmental Peace Alliance and the Project on Government Oversight and others—pushed repeatedly for a below-grade design for the HEUMF as a security measure. 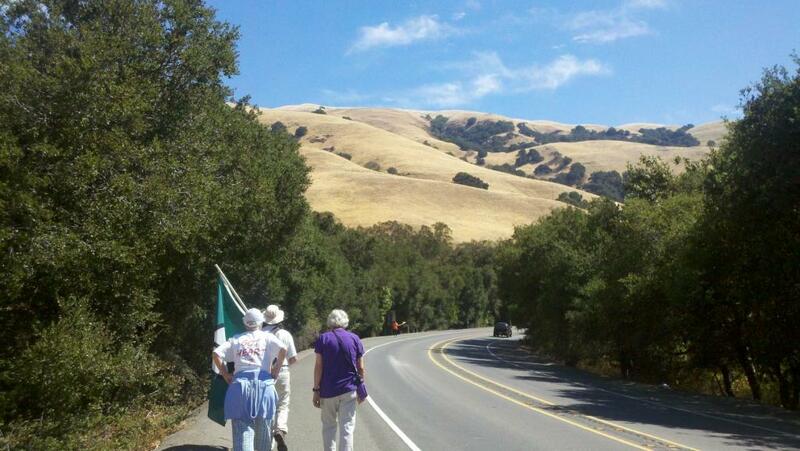 Building a massive facility to house nuclear weapons materials above ground in a valley surrounded by high ridges made no sense from a security standpoint, as the Plowshares activists demonstrated so clearly on July 28. At the time, NNSA decided to build the facility above ground to save money—the number quoted was $12 million, or 2.4% of the overall $500 million cost of the facility. In hindsight, others recognize what we were saying at the time—the added cost of this security measure should be seen as an investment in security that would last the lifetime of the facility. Compare the cost savings then with the cost of the security stand down, now 14 days and counting, and NNSA’s management decision is brought into stark focus. Since NNSA announced its decision to build the UPF in Oak Ridge in July 2011, information has trickled out that calls into question key management decisions regarding the UPF. We can set aside the biggest one—should we build a new facility or save billions by upgrading existing facilities?—because GAO says NNSA has never crunched the numbers to know what it would cost to upgrade existing facilities. NNSA, emboldened by the deal struck by President Obama to get the votes he needed for the new START Treaty, has gone whole hog, deciding to build a Supersized, Superpriced facility—and to do it in a hurry. Let’s build a building bigger than we need, that costs billions more, too! That question, which many would like to avoid (none more than the management at NNSA) is crucial not just for what it may tell us about July 28, 2012, but because this same NNSA is in the process of managing the design and construction of the Uranium Processing Facility at Y12 in Oak Ridge, the HEUMF’s sister. The UPF is currently oversized: in the Environmental Impact Statement, NNSA said it could meet mission requirements with a production capacity of 10 warheads/year, but the UPF is sized to have a production capacity of 80 warheads/year—that’s 700% excess capacity every year! The UPF is also overpriced: cost estimates have gone stratospheric, rising 1000% since it was first proposed six years ago, though it’s fair to say no credible final cost estimates have been presented. NNSA says they can nail it down to within 3 billion dollars ($3.5-6.5 billion). The Army Corps of Engineers ballparked it at $7.5 billion. NNSA has allowed the UPF design contractor to skip the preparation of a Preliminary Safety Design Report [PSDR]. Now, with the UPF nearing 75% design completion, the Defense Nuclear Facilities Safety Board says safety is “not integrated into the design” of the UPF, and decisions to reduce criticality safety standards are “not protective of workers or the public.” A PSDR is being prepared retroactively, demonstrating clearly the wisdom behind the original mandate to prepare a Preliminary Safety Design Report. The NNSA’s decision to proceed without a PSDR has cost money (no one knows how much) and time (no one knows how much)—the cost of designing the UPF has already reached the initial low-end total estimate for the complete construction ($600 million) of the facility. And they aren’t done designing. Should we see if our new technology works before we commit to it? NNSA has also allowed the design team to develop plans for the UPF that incorporate unproven technologies into the design. The GAO, in a separate, November 2010 report, was highly critical of this, noting it does not meet “best practices” set forth by the Department of Energy and pointing out that should a new technology fail to pan out, the project would be placed at risk—re-design would be expensive in both time and dollars. How many new technologies are planned for the UPF? At least ten are cited by the GAO. How many of the ten will not have met the industry standard “Readiness Level 6” before the UPF reaches its final design stages? Six of the ten. One of the more mature technologies cited in the GAO report was microwave casting. It had already been demonstrated and was moving toward production line testing in existing facilities at Y12. We learned in April the production line test took place in February, 2012 and failed. The failure was not a little glitch requiring tweaking—the core components of the microwave casting oven were returned to the manufacturer for re-manufacture. This technology was not one of the ones GAO considered risky, but it made their concerns look prophetic. Has NNSA, exercising wise management, taken a decision to adhere to industry and DOE best practices, slowing down the design process until technologies can be proven to TRL 6? On the contrary, NNSA is cheerleading for additional funding from Congress to “accelerate construction” of the UPF. Wait, there’s more. The GAO critique of NNSA management notes NNSA is unable to provide reality-based cost estimates for major construction projects, pointing to the UPF as an example—estimates of the total cost of this project have rocketed from $600million – $1.5billion at the outset to $6.5 – 7.5 billion at present. In defiance of their own regulations, NNSA has provided no independent cost estimate for the UPF, and none is expected until at least a year after Congress approves funding to begin construction. What’s more, in an effort to circumvent its own departmental requirement that projects over $100 million receive headquarter’s approval, NNSA has announced a scheme to artificially divide the initial construction work into four pieces, the first two of which conveniently come in under $100 million (if NNSA’s numbers can be believed), allowing construction to begin without HQ approval. In July of this year, the GAO released an audit report of NNSA’s budgeting procedures that levies three significant criticisms of the process NNSA uses to develop budgets. The GAO report points out why the processes are inadequate to fully inform NNSA management and others in government responsible for budget decisions—the Office of Management and Budget as well as Congress. The failure of NNSA to put in place systems that provide accurate cost accounting and estimates as part of a project is not simply an accounting failure, it is a management failure. Is anybody noticing? Anybody at all? One recent report about the fallout from the Y12 security breach noted that NNSA is sending its principal assistant deputy administrator for military application to Y12 for a look-see. Really? NNSA has a “principal assistant deputy administrator…”? Is it any wonder, in a management structure that has those kinds of positions/titles, that no one seems to know what is going on or who is accountable? Congress should ask questions about the security breach at Y12, but it should not limit its curiosity. When the stakes are so high, Congress should broaden the scope of its investigation to ask about NNSA’s management capacity. 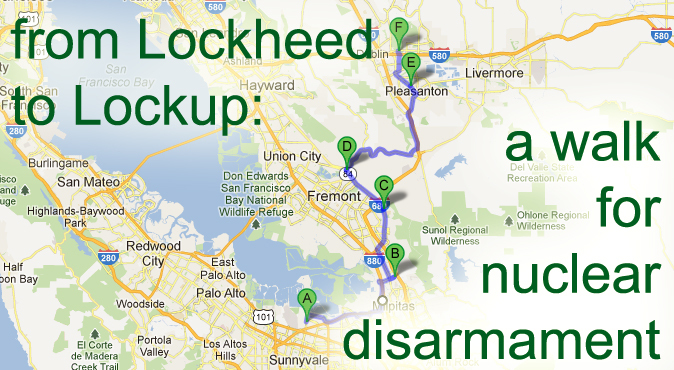 In the meantime, it is fiscally irresponsible to dump piles of money on the UPF boondoggle when NNSA can not answer the most fundamental questions about its bomb plant. 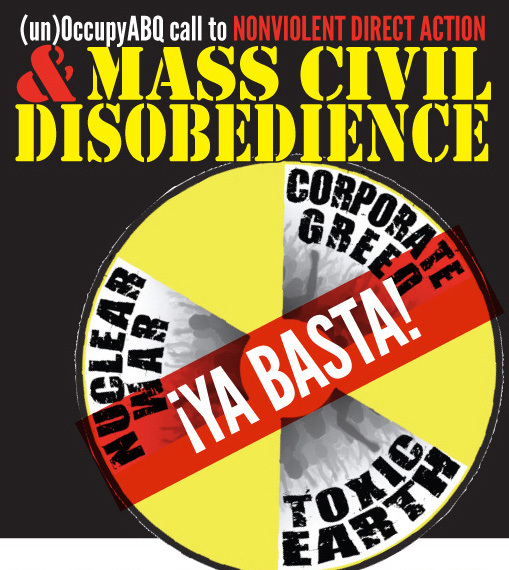 The Oak Ridge Environmental Peace Alliance works to stop nuclear weapons production at the Y – 12 Nuclear Weapons Complex in Oak Ridge, Tennessee. Should a native of Roane County, Tennessee — or any of us, as citizens of the United States — be proud of the nuclear warheads made possible by the uranium processing done at Y-12? Pam Strickland has written a beautiful op-ed for the Knoxville News Sentinel answering this question. A job with the Department of Energy (called the Department of Extinction by some, for their role in producing nuclear weapons) at Y-12, Oak Ridge, was considered wholesome and respectable. It was considered life-giving work, helping to fund schools and other community institutions. As Strickland grew older however, her views changed. What was the cost of using nuclear weapons against Hiroshima and Nagasaki? What is the cost of holding this power to be “the destroyer of worlds,” as J. Robert Oppenheimer said, quoting the Bhagavad-gita? Are we proud? ashamed? do we simply go about our business? Finally, Strickland asks the most important question: in the wake of Greg, Megan, and Michael’s action, will more of us stand up for what we know to be right? Strickland ends with a rousing call, sending the ripples from this action out across the world and asking us to do the same: Let us all stand for life and against nuclear weapons, each of us in our own way. Let us band together.